Looking for the best gnat repellents to annihilate these pesky bugs? Specifically developed for the outdoors, the repel sportsman is our top pick. Mainly because it combines the powerful anti-gnat/anti-mosquito ingredient DEET with a lotion. This allows you to pinpoint the location where you want to apply the repellent. Unlike aerosol sprays where you have to do your best to aim, the lotion can be conveniently applied on your hand and rubbed evenly where you need it. Of course, some parent's might not like applying DEET products on their children, which makes total sense. If this is you we'd recommend the Buggins Natural Insect Repellent, which uses DEET free plant based active ingredients to keep gnats away. Want to learn more about the other products we reviewed or more information about buying repellents? Keep reading! What To Look For In A Repellent? What's In A Gnat Repellent? How Long Does Gnat Repellent Last? How Much Does Gnat Repellent Cost? Want to skip all this research and just hire a decent exterminator for your bug problem? Gnats are small, non-biting insects that become a common nuisance during the summer months. Although they aren't interested in people, they like to live in homes, especially if there are fruit or plants inside. While gnats play an important role in aquatic ecosystems, they are a pain in the home and to you. Most gnats don't bite, although they might try to reproduce using your potted plants or fruit left on the counter to ripen. They also have a tendency to land on people or swarm to reproduce, which means you might be overwhelmed by gnats when you walk into your yard. Thankfully, scientists have developed some repellent sprays to keep them away from you and your family. Many gnat repellents are similar, but they have some major differences when it comes to ingredients, cost, and staying power. Several makers of “natural” insect repellents usually contain essential plant oils like cedar or citronella. They claim that their products fend off insects, but it's only really true for products that contain oil of lemon eucalyptus. Many repellents contain similar active ingredients, but not all work the same. Some inactive ingredients in repellents and the concentration of multiple ingredients in these products can create great differences in their effectiveness and possible adverse reactions to them. These aren't a good choice, mainly because sunscreen should be reapplied every two hours, and bug repellents don't need to be over applied. Over-exposure to the active ingredients in repellents can be harmful to your health. Remember to choose an option that suits your needs and budgets, and don't be afraid to experiment to find the right one. Most gnat repellents use permethrins. Permethrins are a pesticide made from the extracts of chrysanthemum flowers. Permethrins target gnats and eliminate them by affecting the nervous system. Recently, more and more companies have started to produce repellents that use all natural products. These ingredients are safer for people, usually non-toxic, and often have a more pleasant scent. However, they do tend to be more expensive. The ultimate goal is to choose a composition you are comfortable with. Permethrins are the traditional ingredient in gnat repellents. Permethrins can be used around humans and pets, but users like yourself need to be careful. Cats are sensitive to permethrins, and so are small dogs. If ingested, they can make humans sick or cause irritation, but they pass through the body quickly. Despite these side effects, permethrins are one of the most studied and effective ingredients to repel gnats. These are considered the most common ingredient in a repellent, and they tend to last longer than natural ingredients. Another common product is diethyltoluamide, which has over 60 years of research to support its ability to repel gnats and mosquitoes. Most natural ingredients in gnat repellents are ingredients you've already heard of, like eucalyptus extract in the form of essential oils. These natural ingredients tend to be made without chemicals, preservatives, and parabens. Repellents that use these ingredients are more expensive, but also smell more natural and some can even be used on pets. But fewer studies have been conducted about these repellents, so they might not be as effective as regular pesticides. Not all gnat repellents are the same. Depending on the composition, a gnat repellent could last for four hours or ten hours. These differences are usually a result of the mix and chemical composition of ingredients used. Those "inactive" ingredients manufacturers put into the repellent have a significant effect on the staying power. If you choose a spray which uses more traditional ingredients like permethrins, then the spray tends to last longer. Some of these sprays can also be used on equipment like backpacks and provide all-day protection if you're the hiking type. More natural ingredients like essential oils last a shorter length of time and can also be used on equipment for gnat protection, but need to be reapplied frequently throughout the day. On the plus side, they tend to smell of ingredients like lemon or eucalyptus. Traditional chemical based gnat repellents are usually more affordable where natural "green" repellents tend to be more expensive. Regardless of what you pick, grabbing a couple repellent bottles typically won't break the bank. Check out what we've found to be great options below! This gnat repellent uses all natural ingredients to keep gnats, mosquitoes, and other pesky insects away from you and your family. This product is useful for people who have pets because it can be safely applied to cats and dogs so they didn't get bitten or harassed by pests. Bug Protector takes pride in being made without chemicals, preservatives, synthetics, petroleum, parabens, alcohol, phthalates and dyes. I recommend this spray to people who want an environmentally friendly, all-natural alternative to traditional repellents. Bug Protector also has a pleasant odor which smells similar to an herb garden rather than the harsher, chemical scents usually associated with repellents. The spray uses all natural ingredients and strives to be environmentally friendly. The spray works better if you keep moving rather than standing still. Leaves a sticky residue on the skin which can be hard to wash off. The product is more effective on mosquitoes than gnats. The Buggins Natural Insect Repellent avoids using traditional chemicals and instead includes natural ingredients like peppermint, lemongrass, and clove. The product does not use permethrins, unnecessary dyes, or diethyltoluamide (often called DEETS). I enjoy this product because it smells fresh like vanilla and rose and lasts longer than other natural products. The spray is effective against gnats and other nuisances, including black flies, buffalo gnats, and deer flies that can bite and cause irritation. Unlike some other sprays, this insect repellent can be applied to children as young as one year old. Uses all natural ingredients and avoids using traditional pesticides. The spray can be used on children safely. The product leaves a fresh odor that isn't as harsh as other repellents. This is a more expensive spray. Most of the bottles sold are only 4 oz. and have very few uses. The product does not work on mosquitoes. Repel 100 Insect Repellent uses traditional pest repellents like DEET and is effective against gnats and mosquitoes. This product is designed to be strong enough to handle the pest populations of tropical regions and the southern United States. 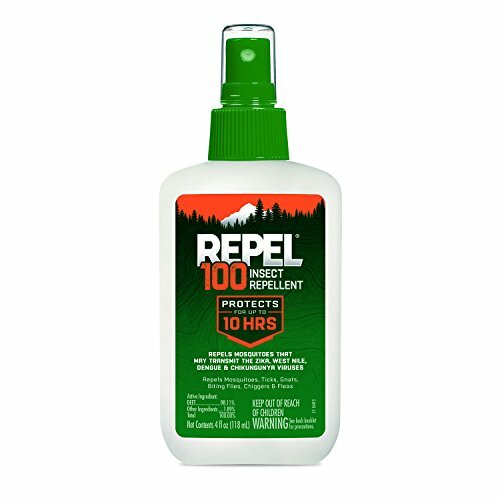 Repel 100 possesses a strong odor and creates an effective barrier around people so that gnats don't even come close. Unlike some other options, this spray should not be used on pets or small children and is recommended for people who need strong protection. I personally like using this brand when I need to go hiking because bugs don't even touch me. I would recommend it to individuals who know they will be outside all day rather than for general use. The spray can last for 10+ hours. Can work in with heavy mosquito and gnat populations. 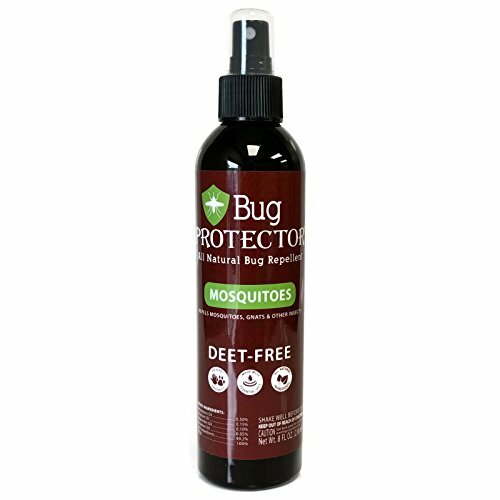 Uses traditional DEET pesticides, which are very reliable. 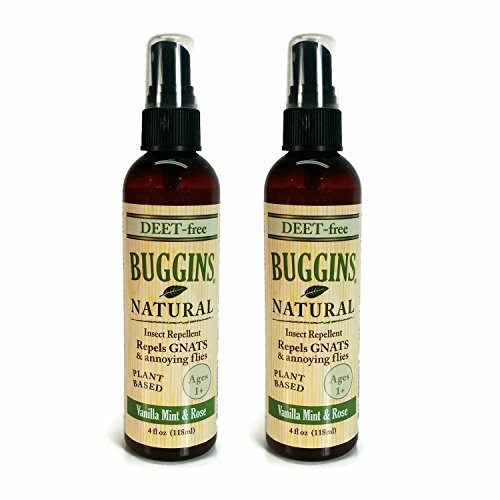 Product uses DEET, which might not work for everyone (non-natural). Only sold in 1-4oz bottles (you'll need to buy multiple for good use). Smells like chemicals and will leave an oily residue on skin. 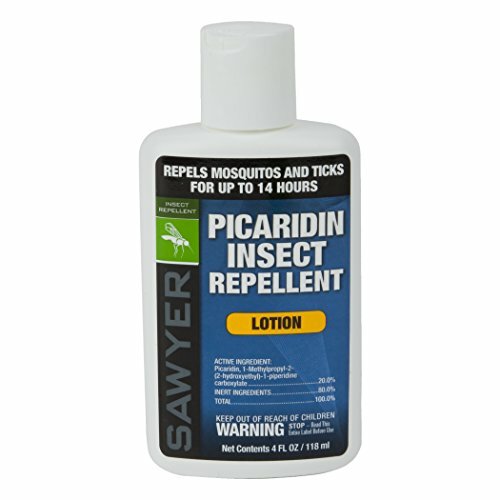 The Sawyer Products Premium Insect Repellent uses picaridin, which is a strong insect repelling spray. Picaridin is effective against gnats, ticks, chiggers, and many other common pests. I recommend this product to families because it can be used on adults and older children safely. It's effective against most common insects and pests, including gnats, ticks, and mosquitoes. Unlike some other repellents, the spray leaves a very mild residue and lacks the strong chemical odor of other products. I recommend the Sawyer Products Insect Repellent to people who need to use repellents frequently or have a lot of people they need to protect from gnats. 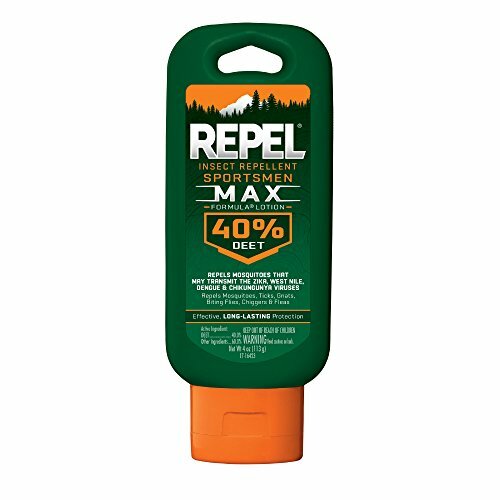 Repel Sportsmen targets its lotion towards people who spend a lot of time outdoors. The product lasts for up to 8 hours before needing a reapplication and uses a combination of traditional ingredients like DEET with natural additives. The lotion is effective against mosquitoes, ticks, gnats, biting flies, chiggers and fleas, which means it can be useful for people who are worried about gnats and other pests. Repel Sportsmen is designed for heavy duty use and has over 50 years of research to support its ingredients. One of the reasons I like the Sportsmen line is that it can be applied with sunscreen for maximum skin protection during the summer. Comes in an easy to use lotion form. All of these products can be beneficial to people hoping to avoid gnats during the warmer months. Curious about other gnat related products? Check out our other detailed guides to help you deal with your pest problems.